Fri., 19 Jul. - Wed., 31 Jul. Sat., 15 Jun. - Sat., 27 Jul. Fri., 15 Nov. - Sun., 17 Nov. Sat., 28 Sep. - Tue., 1 Oct.
Wed., 4 Dec. - Wed., 4 Dec. Sat., 18 May - Wed., 21 Aug. Mon., 23 Dec. - Mon., 30 Dec. 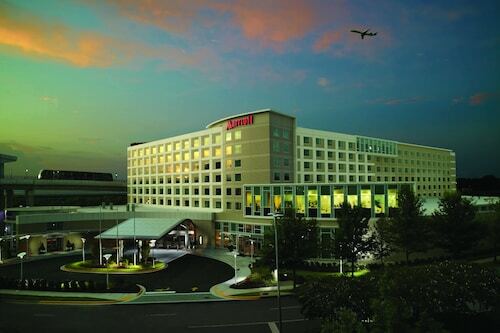 Sat., 16 Nov. - Sun., 17 Nov.
Fri., 23 Aug. - Sun., 25 Aug.
Hyatt Place Atlanta Airport-South places guests 1 mile (0.6 km) from Hartsfield-Jackson International Airport. The airport's MARTA station provides transportation downtown, where visitors can explore World of Coca-Cola, a tribute to the iconic dark beverage. 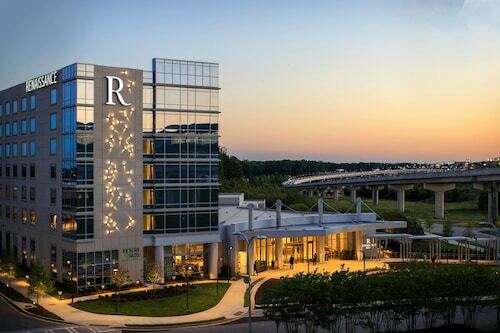 Situated near the airport, this hotel is 0.3 mi (0.4 km) from Georgia International Convention Center and 2.9 mi (4.7 km) from Camp Creek Marketplace. College Park Golf Course and Delta Flight Museum are also within 3 mi (5 km). College Park Station is 19 minutes by foot. 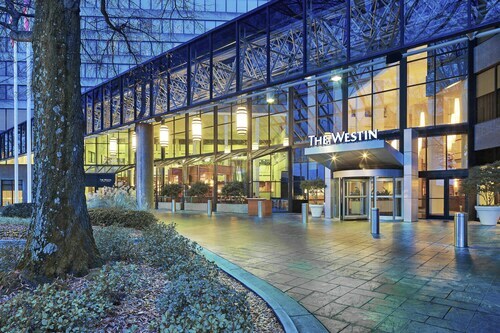 Located a 2 mile complimentary shuttle ride from the airport, The Westin Atlanta Airport is within 10 miles of downtown Atlanta, Turner Field, Underground Atlanta, and Georgia Dome. 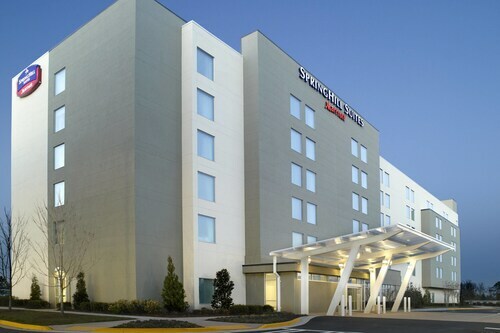 This hotel is in College Park, Georgia, two miles from Hartsfield-Jackson Atlanta International Airport and 2.2 miles from the Georgia International Convention Center. Question : How long does it take to fly from Toronto to Atlanta? Answer : If you're able to take the direct flight (which is offered by Air Canada), you will be able to leave YYZ at 4:30 PM EDT and get to ATL at 6:43 PM EDT (two hours and 13 minutes). Question : How many flights are there per day from Toronto to Atlanta? Answer : Depending on the day of the week, the number of flight times will change, but on average there are 19. You’ll have more choices on this route than most other routes departing Canada. Question : Which airline has the least delays from Toronto to Atlanta? Answer : Booking with Lufthansa means you will arrive to Atlanta pretty close to the time your ticket states. In fact, this airline has a 100% on-time average. Of course, it never hurts to be prepared. If you’re on Air Canada, be sure to sign up for the delay notifications to stay up to date with your flight’s status. Question : How long do most people stay in Atlanta on average? Answer : Of course, you're not most people, but if you were, you'd stay around about one week. Answer : When you’re flying from YYZ to ATL, the day with the most flight times is Tuesday, with 21 different options. However, with 13 flight times, Saturday doesn't offer quite as many options when finding that perfect departure time. Question : What is the cheapest date to fly to Atlanta? Answer : Apr 16th has bookings (as of Apr 15th) for as little as $287. That comes in 42% below the average price. Saving now gives you more moolah in your pocket for your trip. Question : What is the cheapest airline flying from Toronto to Atlanta? Answer : Delta Air Lines is your best flying friend for finding that in demand low fare. They're offering fares as low as $287, while rates for similar flights are as high as $1,253.